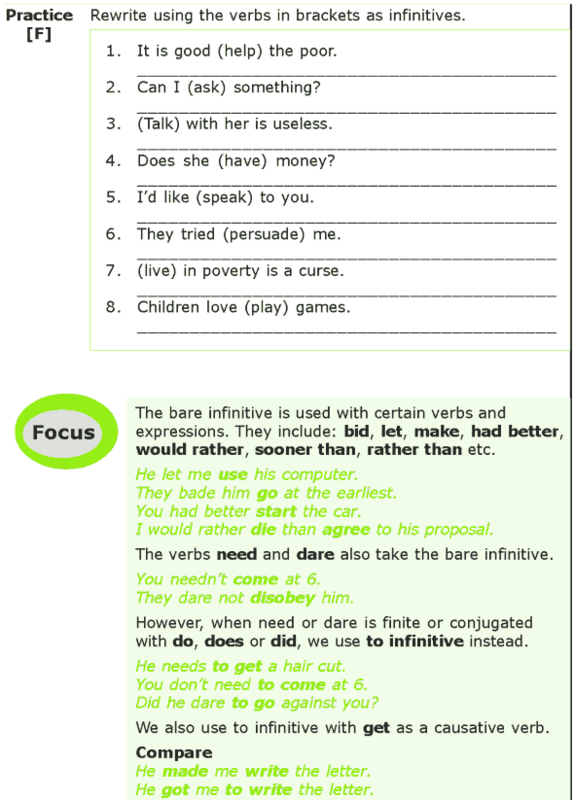 The bare infinitive is used with certain verbs and expressions. They include: bid, let, make, had better, would rather, sooner than, rather than etc. The verbs need and dare also take the bare infinitive. However, when need or dare is finite or conjugated with do, does or did, we use to infinitive instead. We also use to infinitive with get as a causative verb.